Ballet Dancers- Body Like Margot Fonteyn? Hi! Long story short, my ballet teacher said I look like Margot Fonteyn, and dance just as beautifully- what is the probability of someone with straight legs, bad feet, and a low arabesque becoming a famous ballerina? I've kind of lost hope- the only desirable parts of my body is long neck, small head, long legs, and a flat chest. My waist is smaller than my hips, and have a bmi of 18.5. Do I still have a chance at being a principal? To:- Ballet Dancers- Body Like Margot Fonteyn? Thank you for your message, it is lovely to hear from you. That is a huge compliment to be compared to Margot Fonteyn - wow! You must be beautifully talented, but I know the natural instincts of a ballet dancer is to doubt yourself and begin to question your ability as a dancer. Firstly, I have to say take a breath and slow down! The thought of becoming a famous ballerina or principal is a dream for mostly every single dancer out there. However, there are other obstacles to cross first. It is extremely tough to become a professional ballet dancer and that is a dream in itself. Not everyone makes it famous or to stardom in ballet, yet every single professional dancer is hugely talented and worthy in their own way. There is much much more to success in ballet than just your measurements and body parts. Obviously, this can take up a huge part of your thoughts to being a certain look for a ballerina. However, you must broaden your mind and look at the 'big picture' of ballet, because you need to be just as gifted in your technical ability and artistry. 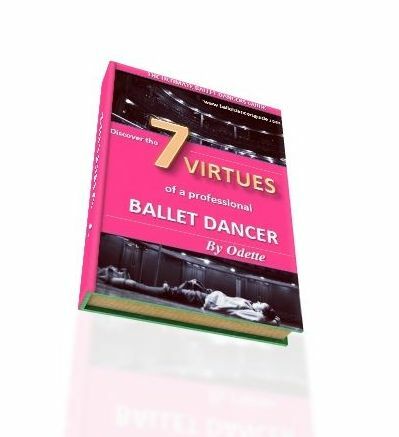 If you are still questioning your body, then I suggest to have a look at my ebook Virtue 3: Physicality.It will help you understand what it really needed from a ballet dancer's body and solve your worries about having that 'perfect' physique for ballet.